It is believed that ‘The President’ is the hugest tree in the world when judged on bio-mass. 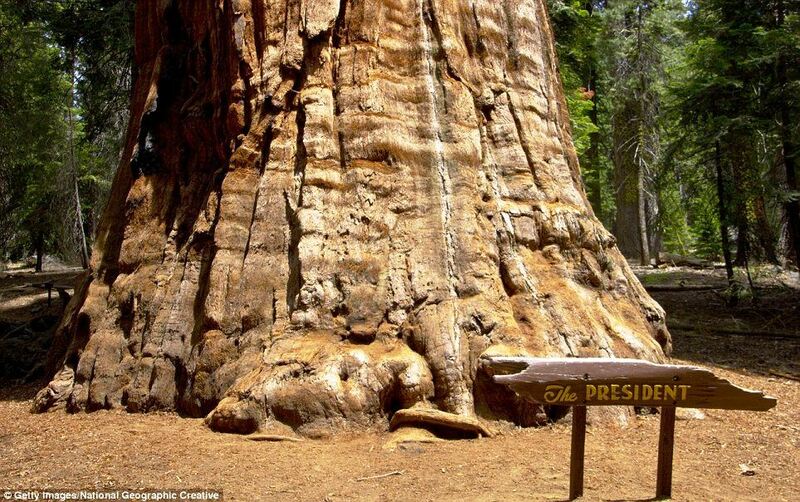 “The President” is located in the Giant Forest of Sequoia National Park in the United States. The tree is 75 metres tall. That’s a 20 storey building! It boasts a circumference of 28 metres at the base and at over 3,200 years old pre-dates the Iron Age. It’s so huge, it’s impossible to look at in one go. 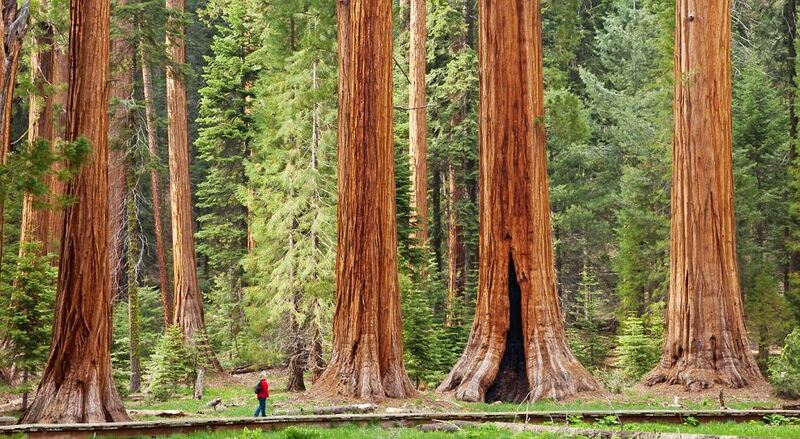 So no one has ever taken a proper photograph of its entirety until a team of photographers from National Geographic worked with scientists from California’s Sequoia National Park to take 126 separate photos of ‘the President’. The final photograph, which represented a mosaic of 126 images, appeared in the December 2012 issue of National Geographic magazine.